A man and a woman sustained injuries. A truck with locals exploded on an anti-tank mine near the village of Bayrak near the militant-controlled Horlivka, Donetsk Region. A woman and a man were injured. "The SMM spoke with a 55-year old woman who said she had been injured when the truck in which she had been travelling hit a mine at about 19:30 on 12 June near the settlement of Bairak, east of "DPR"-controlled Horlivka (39km north-east of Donetsk)," a special monitoring mission of the Organization for Security and Cooperation in Europe (OSCE) said in a report Monday. A woman had injured her left shoulder and her husband, who was travelling with her, suffered light head injuries. The victim they used the road frequently. An emergency service employee in Horlivka told the SMM that the couple’s truck had struck an anti-tank mine. He added that six anti-tank mines had been found near the spot of the incident and that they had been cleared by controlled explosion. 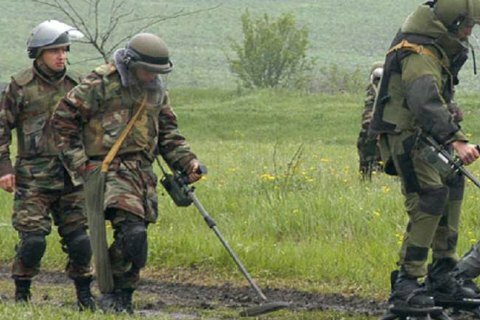 On Saturday, 17 June, the "DPR" militants shelled the residential sector of the village of Berdyanske on the Azov Sea shore.